Jackpot City is a beautifully crafted online slot game whose bright colors make it pop and stand out from many other games that stick to a basic color scheme. Many times, slot games that feature such bright colors can be overwhelming, and the reel graphics can be lost and hard to set apart from the background. Jackpot City is not one of these games, and the neon purple frame around the fifteen graphics helps to create a divide while the colors on the reels themselves are perfectly contrasting and very easy to identify. 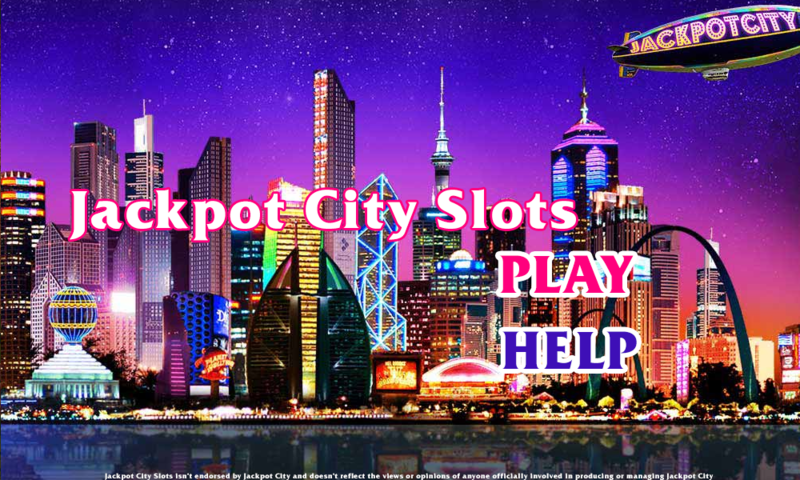 The images on the reels are directly related to Jackpot City Casino and feature some fun pictures, like a tiki hut on a beautiful beach, a roulette wheel, and the logos and current promotions being offered at Jackpot City Casino. With twenty different ways to win, and betting ranging from one simple coin up to 800 coins. It’s very simple to change your bet amount to reflect your bankroll directly or however lucky you are feeling. If you are unsure just how much your wager will cost, the game does the math for you and is reflected in the Bet box. To spin, simply click the green button. You’ll notice that once you click the button, it turns red. If you click it, it will stop the reels from spinning right away rather than waiting. The animation of the spinning reels on this game is also elegant. It allows you to see how the reels are separate from the background and lets the experience become the focus for just a few seconds during each spin. While most other games draw your focus to the spinning reels themselves, this one takes it in a different, more unique direction, and the result is brilliant.